*Update: the Boot Camp will start on Monday, July 8, and finish on Thursday, August 15! The sessions will be held on Monday and Thursday at 7 p.m. at the outdoor track at Cedarville University. If the weather is too hot or stormy, we will transition to the indoor track. Ready to make this the healthiest summer of your life? Thank you so much for your interest in my Boot Camp! Here are some preliminary details. Participants will be required to log her food and do daily checkin’s with me via text or email. I want to make this Boot Camp as successful for each participant as possible. Exercising and eating well go hand in hand — hence the requirement to log food. I also want to be sure you are properly fueled before we start each workout session. High intensity interval training (HIIT) is one of the fastest ways to get your HR up, burn fat, and develop lean muscle (which will burn 50 calories while stationary throughout the day while at rest (this will raise your resting metabolic rate). 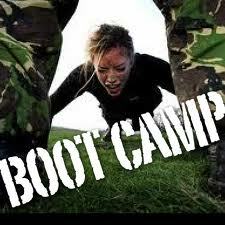 The Boot Camp will be $120 payable via cash, check or PayPal. If you are aware of dates that you will be out of town, I will reduce your cost based on the sessions that you will not be able to attend. However, you will not receive your money back for sessions that you choose not to attend when you are in town. If you are interested in receiving an email with more information after days and times are set, please let me know.